Talk to your health care provider about getting vaccinated. 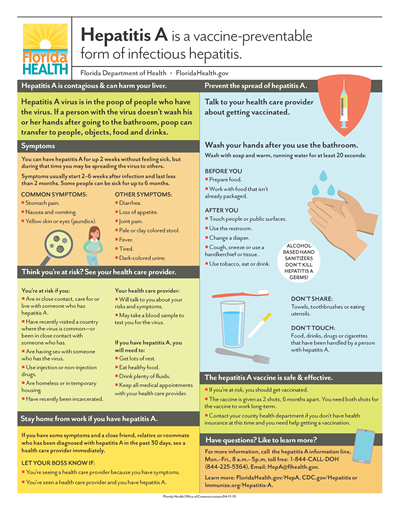 You can have hepatitis A for up to 2 weeks without feeling sick, but during that time you may be spreading the virus to others. Symptoms usually start 2-6 weeks after infection and last less than 2 months. Some people can be sick for up to 6 months. Pale or clay colored stool.